We love to show our appreciation for all the 80+ wonderful teachers and staff at Skyridge! From little mailbox-delivered treats to big, themed lunches, our Staff Appreciation Committee does it all. To get involved, please be on the lookout for emails directly from the school with links to our SignUp Genius opportunities. If you have additional questions, email a Staff Appreciation Co-Chairperson here or here. 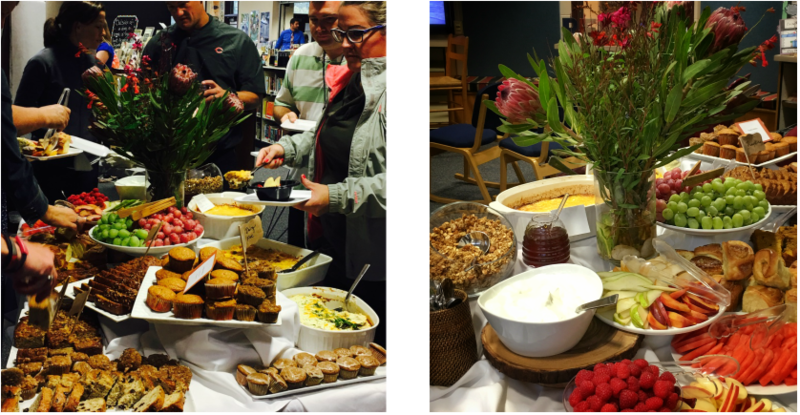 Take note: December's annual cookie exchange – in which parents provide hoards of cookies and teachers take a few of each – is always a huge affair for which we love lots of help! ​All Staff Appreciation activities are funded by Direct Drive donations from our wonderful Skyridge families.